I am a huge fan of grilling Cornish Game Hens. 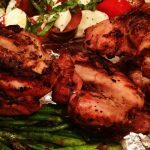 They can be simply marinated and then easily cooked on any grill, the trick is to cut out the backbone and break the chest bone so the hen can be grilled flat. To do this take 4 hens from their packaging, remove anything inside them and dry them off with paper towels. Then place the hens one at a time on the cutting board backbone up. Hold the tail and cut along either side of the backbone with a good pair of kitchen shears, remove the backbone, turn the hen over and using the palm of your hand press downward to flatten the ribcage, continue with the rest of the birds. Now your hens are ready for the simple zesty marinade. In a Ziploc bag add 1/2 a cup fresh lemon juice, add 1/4 cup of olive oil, 4 chopped garlic cloves or a large chopped shallot and add a teaspoon of hot pepper flakes. In a small bowl combine 1 tablespoon kosher salt, 6 good cracks of fresh pepper and 2 tablespoons chopped rosemary. Massage the salt/rosemary mixture all over the hens and place them in the marinade bag squishing everything around to evenly distribute the mixture. Let sit at room temperature for 1-2 hours before grilling or refrigerate overnight and then bring to room temperature before grilling. 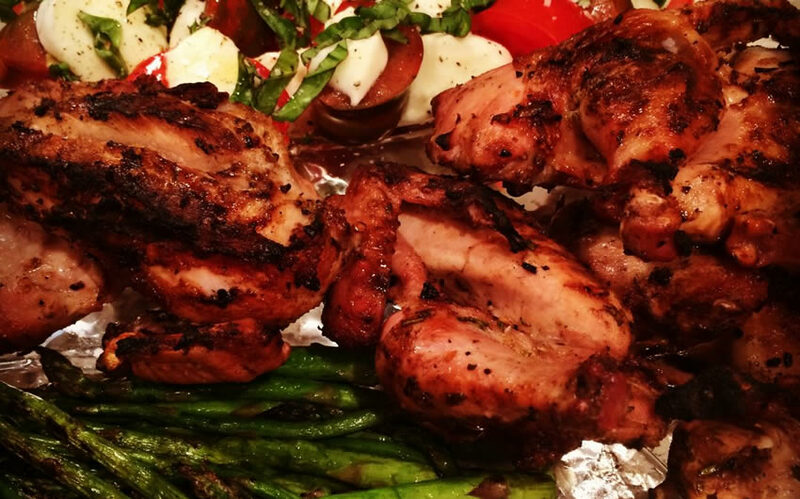 Preheat grill to medium high, grill hens, turning to cook evenly for 45 minutes to an hour, depending on your grill. When the thigh is pricked the juices should run clear. Be sure to let hens rest for 5 minutes to let the juices redistribute into the meat, then enjoy! Also try my Chicken Thighs with Chili Powder recipe!